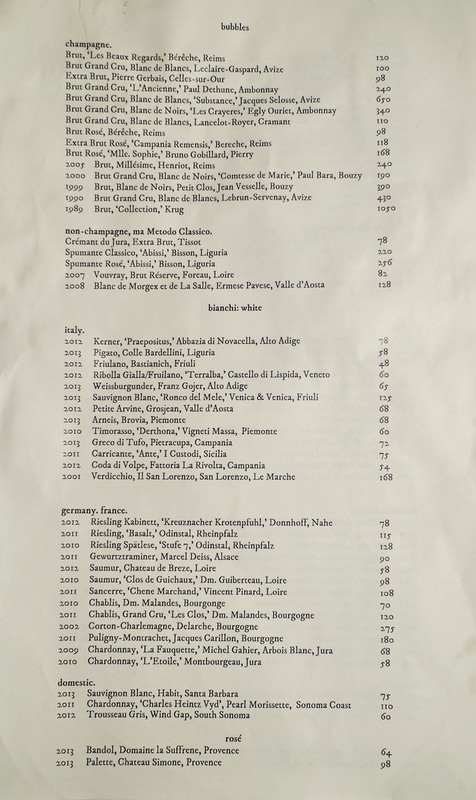 One of the hottest spots to pop up in Venice in recent times is Scopa, which bowed back in November 2013. 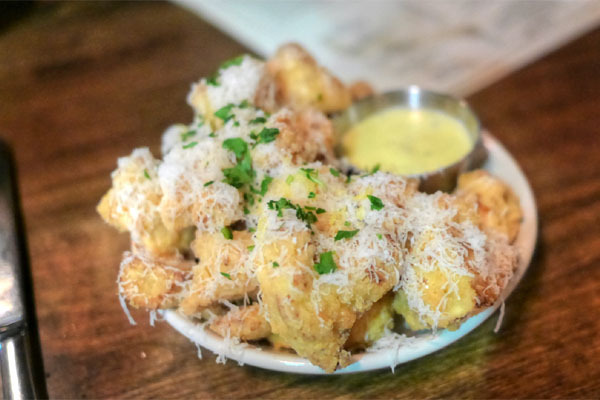 The restaurant features the Italian-American stylings of Top Chef alum Antonia Lofaso, and is a place that I'd been wanting to try for well over a year now. About the Chef: Lofaso was born in 1977 to Italian-American parents from New York, and started cooking for family and friends at an early age. After finishing high school, she attended the French Culinary Institute, and during this period, dated rapper Heavy D, with whom she had a child, Xea Myers, in early 2000. Upon graduating from the FCI, she moved to Los Angeles in 2001, finding work at Wolfgang Puck's seminal Spago, where she toiled for six years under Lee Hefter. 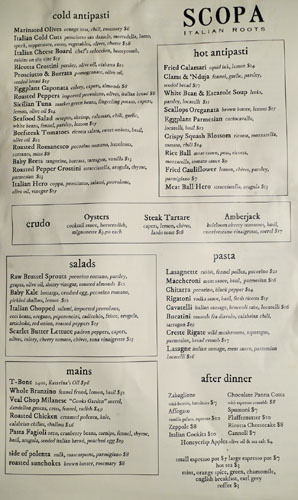 Lofaso left the iconic eatery in 2007 for an Executive Chef position at SBE's new Foxtail, which opened in February 2008. Around this time, she also competed on Season 4 of Top Chef, coming in at fourth place, behind the likes of Richard Blais and winner Stephanie Izard. 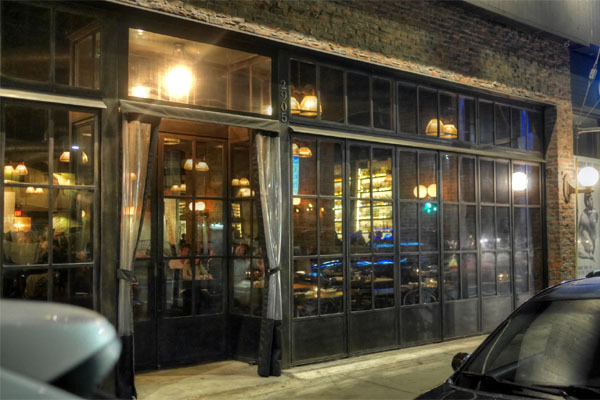 Foxtail, however, turned into a nightclub that September, and closed in August 2009. Following her performance on TC, Lofaso made a brief appearance on Top Chef Masters that summer, assisting Hubert Keller in an Elimination Challenge (along with Elia Aboumrad and Spike Mendelsohn). At the end of 2010, she participated in Top Chef All-Stars, placing third behind Mike Isabella (her distant cousin, it turns out) and old rival Blais. 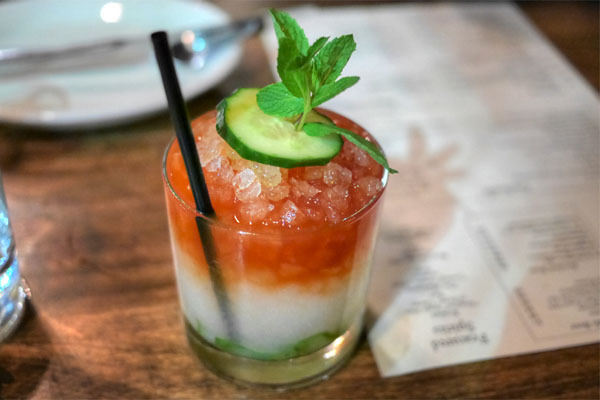 The Chef then partnered up with Steve Livigni and Pablo Moix from La Descarga/Harvard & Stone/Pour Vous, as well as Sal Aurora and Mario Guddemi of Hollywood's Happy Ending, and debuted Studio City's Black Market in June 2011. The restaurant was well received, and in 2012, Lofaso released The Busy Mom's Cookbook: 100 Recipes for Quick, Delicious, Home-Cooked Meals (re-released in fall 2013 in paperback) and also starred in Game Show Network's Beat the Chefs. The next August, she landed a judging role on Food Network's Alton Brown-hosted Cutthroat Kitchen, along with Simon Majumdar and Jet Tila. More importantly for us, she teamed up with her Black Market partners once again and launched Scopa in November 2013, with Moix behind the bar, Livigni managing the FOH, and Ashley Ragovin of Trois Mec/Animal/Osteria Mozza fame as Wine Director (she later moved to Superba Food + Bread and Marvin). August 2014 saw Lofaso compete on Top Chef Duels, where she scored a win against Mike Isabella, and simultaneously, she also made an appearance on NBC's Food Fighters, hosted by Adam Richman. 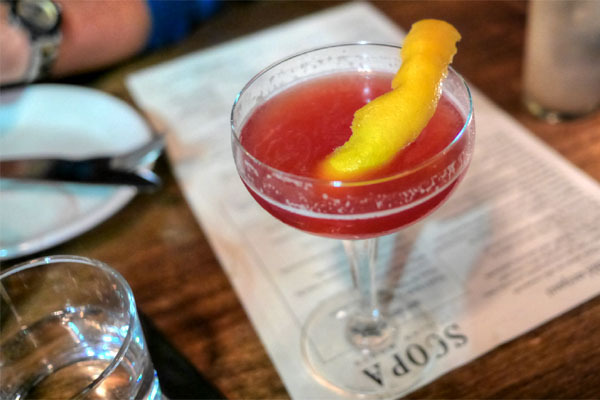 Scopa occupies the address of the longstanding Szechwan Restaurant, which closed in May 2013 after a whopping 31 years in business. The space has been thoroughly revamped and stripped, naturally, and the former 1980's style digs are now swathed in dark wood and leather, while exposed brick also makes an appearance. The bar dominates most of the room, and there's even a private dining area on the second floor. 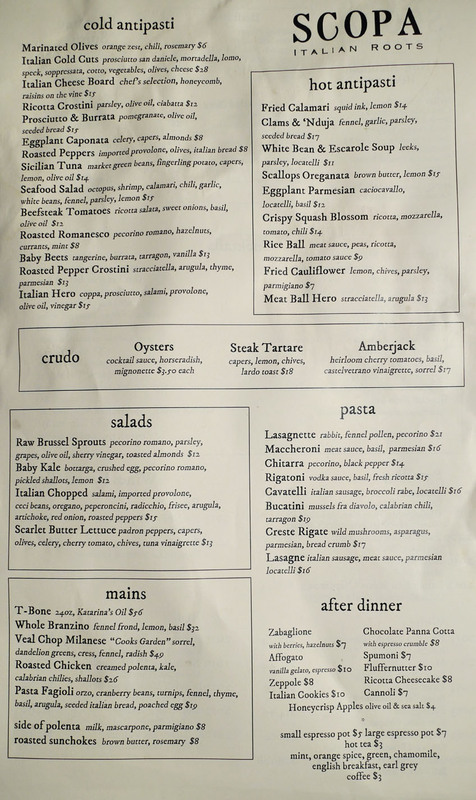 Scopa's menu reads Cal-Italian-American, divided into sections for cold/hot antipasti, a few crudos/salads, the requisite octet of pastas, larger mains, and simple desserts. 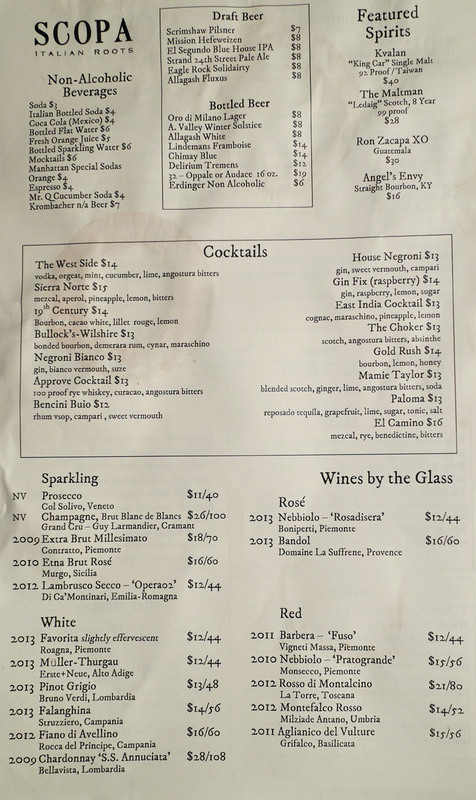 Drink-wise, cocktails are obviously a draw, as is the extensive spirit collection. 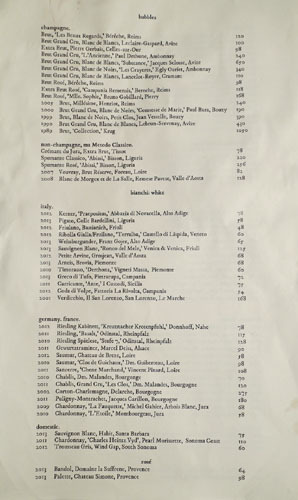 The wine list is nice, meanwhile, but corkage, sadly, is not an option. Click for larger versions. 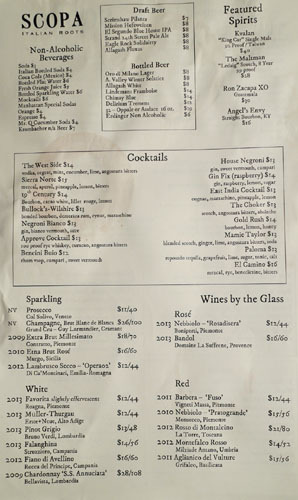 A thorough examination of the cocktail selection was certainly called for tonight. 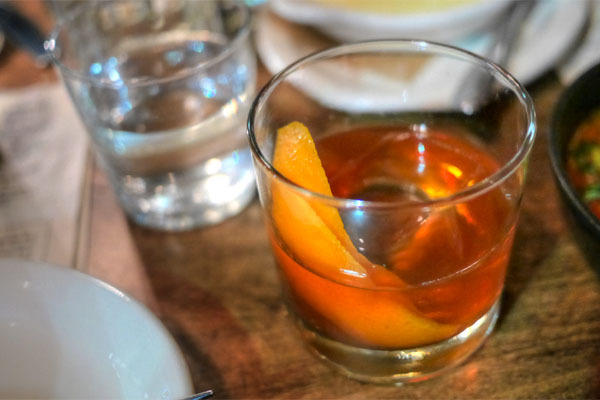 This one was a pleasant way to start things off, with the drink's citrus-y, almost tea-like aromas leading to bracing tastes of lemon and bittersweetness supported by the potency of the cognac. 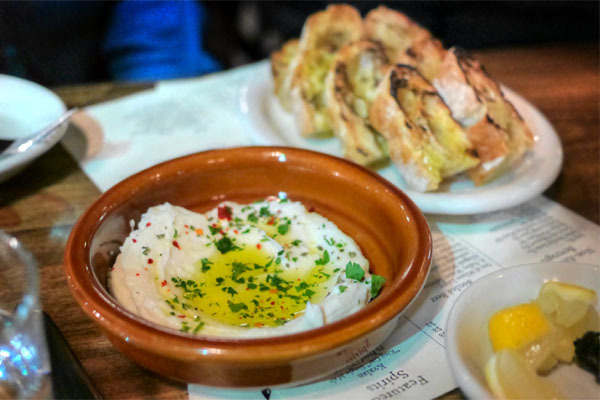 Ricotta was among the best I've had, super creamy and lush, drenched in EVOO and accented by zesty bits of parsley and chili flakes, a perfect accompaniment to the crusty, charred bread. Here was one of my favorite cocktails of the evening. 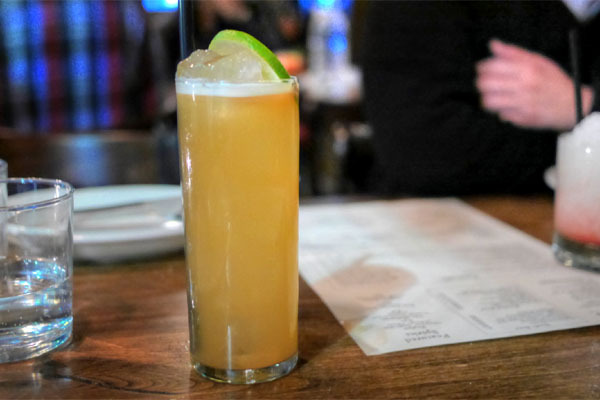 It smelled of intoxicating citrus and spice, and tasted of more citrus, tropical fruit, and a touch of bitterness, all interlaced with the smoky, delicious heft of mezcal. 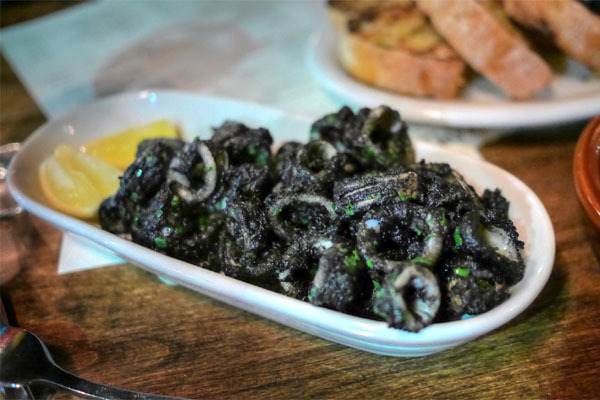 The ubiquitous dish of fried squid was taken up a notch by the inclusion of nero di seppia, which served to amplify the inherent brine of the calamari. Lovely textures here as well, and things were even better with a squirt of lemon. This was also a standout for me. I loved the heady, chocolate-y bouquet of the cocktail, while I got more chocolate, citrus, and spicy fruit on the palate, over a base of boozy bourbon. Cauliflower arrived a bit softer than I'd like, but properly imbued with deep, heady, intensely savory flavors. Tasty. 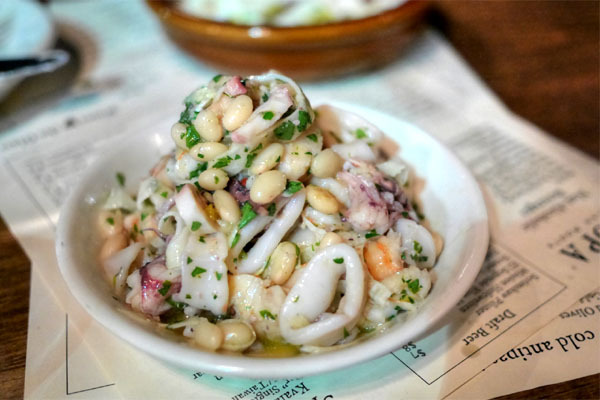 I couldn't resist the seafood salad, and here I appreciated how each item was distinct, both in terms of taste and texture, but yet harmonious when taken together, presenting a sweet sort of brine countered by a great touch of acidity. 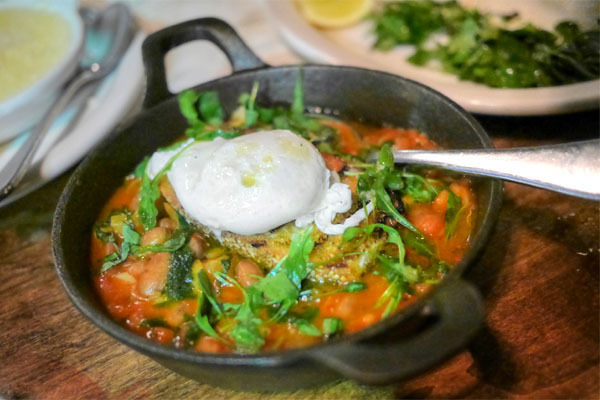 Perhaps the best part, though, was the white bean, which did a wonderful job moderating the dish. One of the lighter cocktails that we tried, this was spritzy and effervescent, with bittersweet, juicy notes of grapefruit working well over the darker, heavier flavors of tequila. 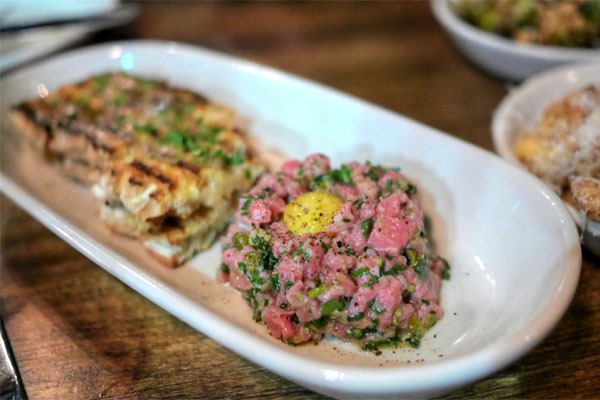 The tartar was classic, a spot on rendition featuring well-textured chunks of steak accented by smartly placed hits of acidity and tartness. The second mezcal cocktail of the meal was an even more forceful presentation of the spirit. 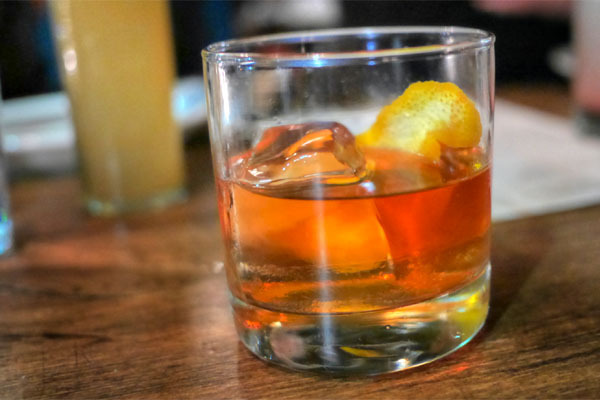 Think citrusy and smoky on the nose, while taste-wise, I got a bittersweet spice, leading to more mezcal toward the finish. 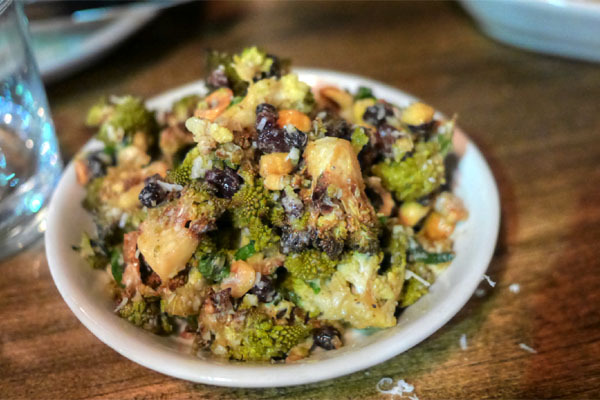 Romanesco was well charred and delightfully bitter, yet complemented by counterbalancing nuances of sweet and nutty. However, as was the case with the cauliflower above, I wanted a bit more crunchiness. 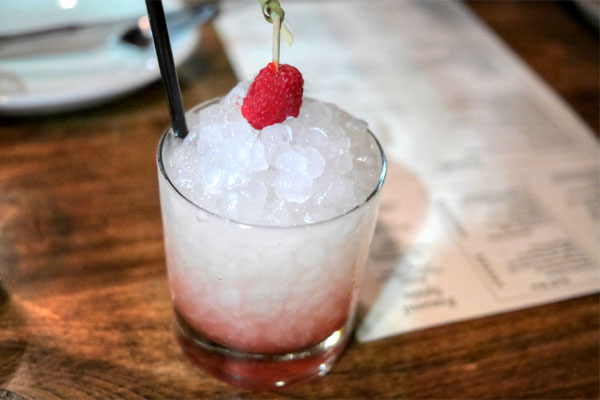 Our next cocktail was bright and light, with the essence of the gin giving way to juicy, jammy flavors of raspberry nearing the back end. The first of four pasta courses brought out a shape that I don't encounter too often. 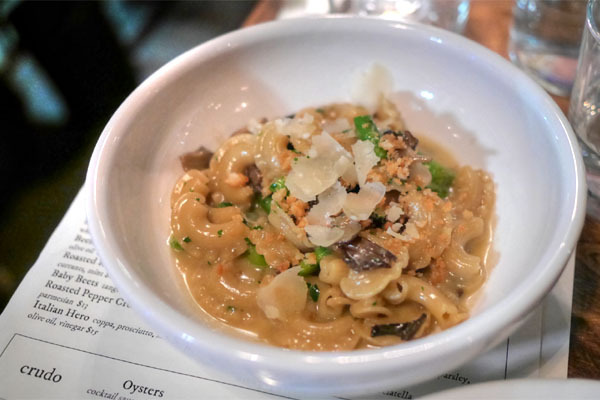 Creste rigate was nicely textured and joined by a rich sauce and earthy notes of mushrooms. I appreciated the use of asparagus here, which lent a bright, bitter crunchiness that lightened the dish. 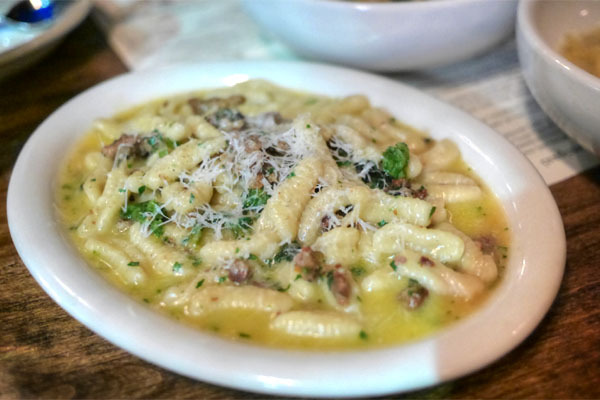 Cavatelli was a winner as well. I loved the super savory, super herby bits of sausage, and how that melded with the cheese and astringent shards of rapini here. 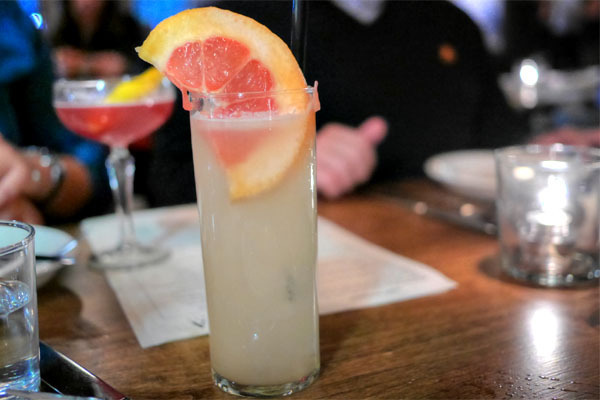 Named after a late 19th century actress-slash-singer, the drink did a commendable job showcasing the spiciness of ginger and its natural accompaniments of lime and bitters, with the scotch peeking through just a bit. 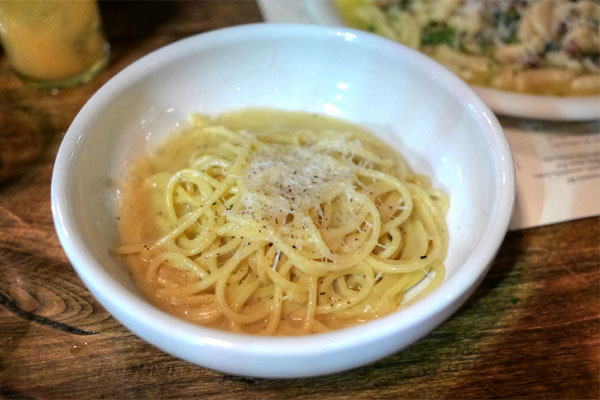 Scopa's take on Cacio e Pepe delivered as well, with straightforward notes of cheese and pepper working beautifully with the pleasantly al dente spaghetti. Scopa's "signature" cocktail was certainly the most visually arresting of the bunch. 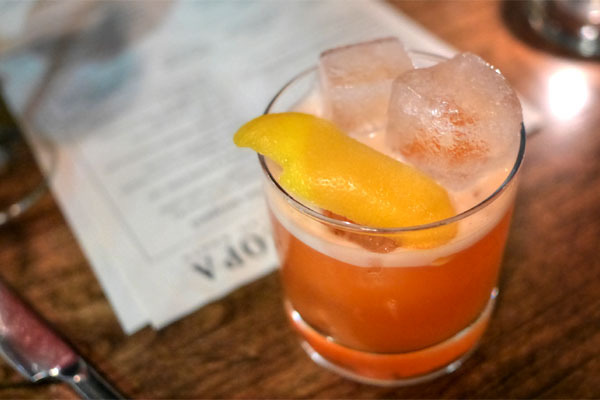 It featured a somewhat punch-like sweetness, one cut by notes of mint and citrus along with the drink's bitter backbone. Bucatini came out properly textured, with a good bit of bite, and enrobed in a sweet, spicy, tangy sauce. The mussels added an additional layer of briny complexity to the dish, though unfortunately a couple of them came out muddy. 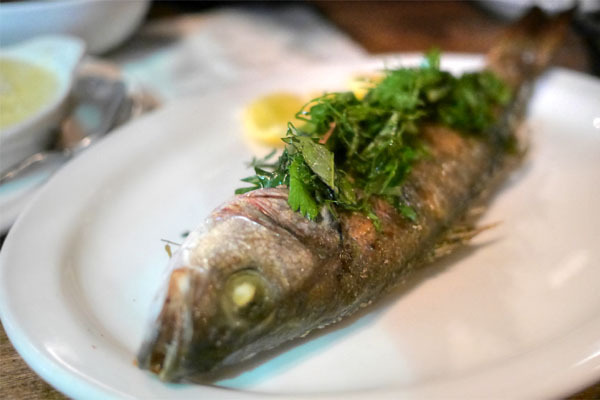 The whole branzino was expertly prepared, arriving at the table tender, juicy, and loaded with savory, saline flavors perked up by a great herbaceousness. This one certainly takes the cake for most viscous cocktail of the night. 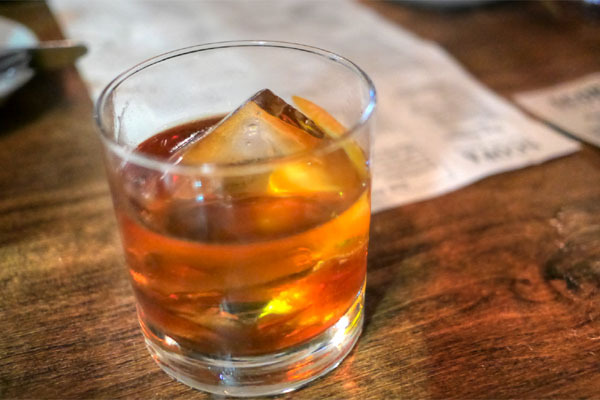 Thickness aside, I found the cocktail expectedly boozy, with bitter and sugary notes accented by a palpable vegetal quality from the Cynar. 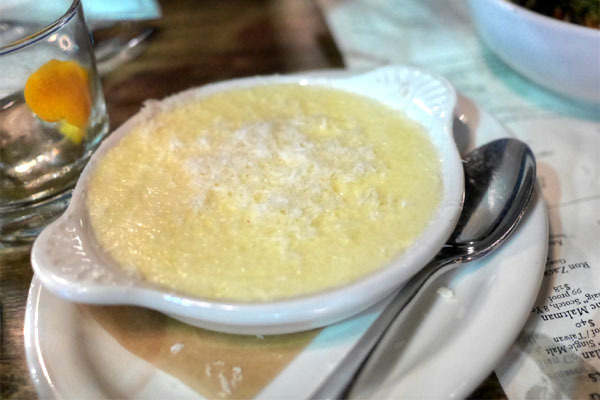 We couldn't resist ordering a side of polenta with our mains, and this was unquestionably the most luxurious I've had, a super creamy, super cheesy preparation that definitely satisfied. Our last savory was a homey, cozy sort of course, with its classic flavors of tangy tomato accompanied by various aromatics while the cranberry beans lent heft to the dish. Our final cocktail really showcased the absinthe, presenting an intensely anise-laced nose while the palate was bitter and boozy, with the absinthe again taking center stage. 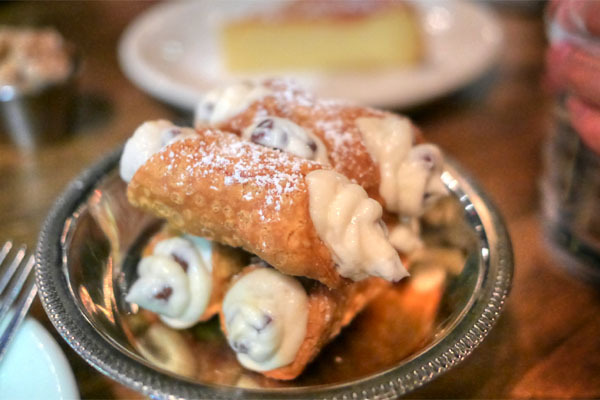 Getting into dessert now, the cannoli were among the best I've had, delightfully crisp little tubes encasing a light, sweet-but-not-too-sweet filling. 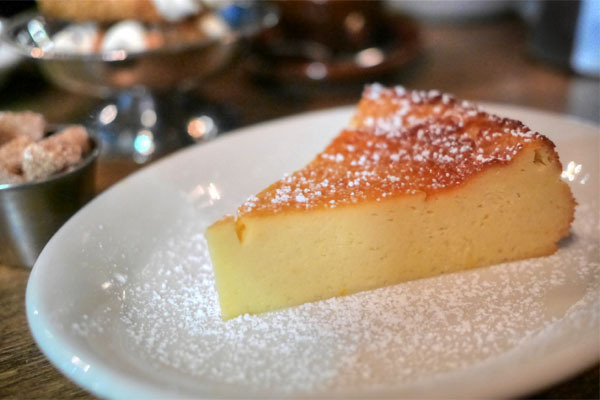 Given the use of ricotta, the cheesecake was lighter, fluffier than you typically get, with a tangy, lactic-like sweetness to it. 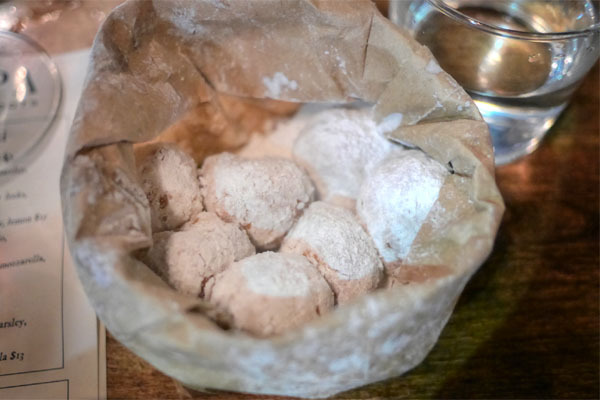 Last up were the zeppole, fried fritters that were surprisingly chewy, yet deeply flavored, with a distinct butteriness to 'em. 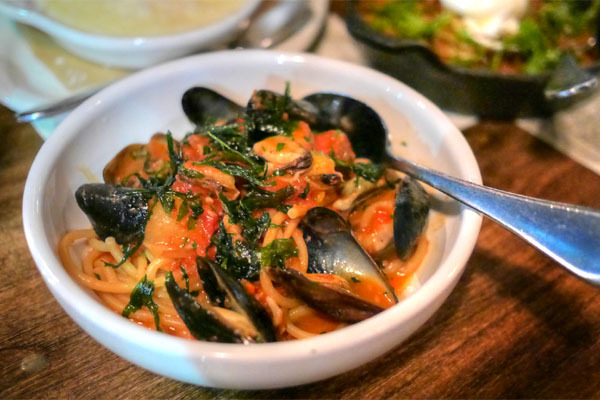 We had a good time at Scopa, which has gotta be the most exciting Italian joint to hit the area in a long while. 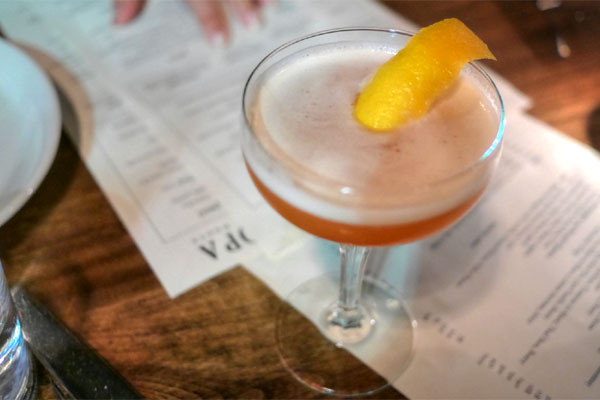 The cooking's pretty straightforward and approachable, but also shows off enough lightheartedness and panache to keeps things interesting, and of course the cocktails were on point. I can certainly see why this place is so popular. It's another strong contender from Lofaso and company, and another score for Venice. How did you get the lighting to be so good there? I could hardly take photos even with flash because of how poor the lighting was there! Man I wish I could join you guys to see how you operate! Although I'm currently just using my Nokia Lumia 1520's 20 megapixel camera. Software just got an update, which seems to have improved the functionality though.